2015 – Its been a Fabulous Year for The Speakers Practice! Things have happened this year that I could only have dreamed of! Starting a business from scratch is a fascinating journey – there are twists and turns that you may not have expected – but it is from these unexpected occurrences that you learn and grow. This year has been pivotal for The Speakers Practice in many ways and at the end of 2015 , we have achieved and assisted our clients , as well as, growing stronger in our offerings. Its been a Fabulous Year! 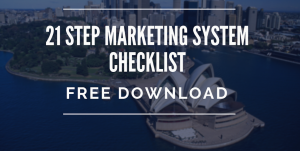 Marketing to me was a complicated topic , I tested things out – my marketing was done as I was taught from numerous courses but there is so much information that didn’t really connect with what was happening. I was made aware of Michael Port and the system – BookYourselfSolid® at the SpeakersTrainingCamp® Instructors training presented by my mentor , Sue Gaulke of SuccessWorksUSA in 2009. After a few years of experimenting with marketing, I decided to follow the BookYourselfSolid® system and as Michael Port suggests I fell in love with Marketing and Selling and have not looked back. After 3 years of studying the various programs offered by the BookYourselfSolid® School of Coach Training, at the end of January 2015 , I graduated as the first Australian BookYourselfSolid® Certified Coach. Yes, this is an achievement but the real achievement is that I now understand how marketing works – Michael Port is an expert and his training really has been valuable in taking the complexity out and really highlight the important activities that are incredibly important in getting more clients and being Booked Solid. I am proud that Michael Port has been a mentor and inspiration in Thinking Bigger about what I can offer the world. Thank you so much to Michael Port , Matthew Kimberley and the team of BookYourselfSolid® Coach Trainers. The Speakers Practice – Succeed Program was launched on the 24th March, 2015. This program is a continuous improvement program for small business – it is based on the Deming Cycle and the BookYourselfSolid® marketing system. The Succeed Program is designed to focus a small business on getting more clients – we look at the business from the business growth aspect – the program is designed to give accountability to grow business using the top rated system BookYourselfSolid®. For businesses that are wanting to grow, this approach is well established and achieves results. A fabulous evening was held to launch the Succeed Program and present the BookYourselfSolid® system. Here pictured are the President of the Hornsby Chamber of Commerce 2011 – 2015 – Bill Tyrell, MC Tim Stackpool and Sean Spence – a BookYourselfSolid® Coach-in-Training helping Adrienne McLean on the night. Training Professionals to present to camera and use video as a marketing strategy is pivotal in The Speakers Practice suite of programs. In 2015, we ran Presentation snd Video programs training Professionals to present to camera with impact. It is ideal for a Business Owner who is passionate about their business to be the “face” of their business and really connect with their clients and potential new clients. However, if they have not really used video before producing a quality result is challenging – that’s where The Speakers Practice – Presentation and Video Program excels – we train Professionals – who have never been in a film studio before to create a captivating script, use an autocue and present to camera with skill. This program is held at the beautiful, purpose built film studio – Pow Wow Studios. Its essential to produce a quality presentation in front of camera – the next step is to use that video and market your business effectively. The Speakers Practice offers a quality, uptodate presentation “Video Marketing in Action” – in this program – attendees find out the benefits of using video in their marketing mix – the benefits and necessity to use video is growing exponentially. As the generations age, video is only going to grow into being the norm. Even now, Youtube is the 2nd largest search engine – that is a huge step for video. Video Marketing in Action gives the information about the benefits to using video for marketing your business, how to use video and the sites along with methods to help you get maximum exposure with your video. Also. ways to create products using your video. Lou Bortone, US Video Marketing Guru is my video marketing mentor – Lou’s programs have really assisted my development and confidence in being a Video Marketer. Video Marketing in Action has been presented at BeUltimate- Business Coach and the Enterprise Centre, Sydney. _ and a transcript was prepared for future projects. This is an example of producing content for various uses – Content Marketing. The Friday Forum produced a lot of interesting, valuable information from specialists on a variety of business topics. The Forum was innovative , used Google Hangouts along with a webinar marketing platform and promoted Professionals on numerous topics. There were 27 productions completed over this time. Everything was handled from scripting, PowerPoints slides, discussions, recording, editing,creating various types of content and promoting on social media. The next exciting step is to start in February, 2016 is the new program – Business Success Strategies. The new format , based on the Friday Forum, will be interviewing business professionals on strategies they recommend to build and grow business. Both local and international business professionals will be interviewed. The aim of Business Success Strategies is to give SME Professionals access to specialists and hear about successful strategies that work in building clients. My NSW Business Chamber – Account Manager suggested I enter the NSW Business awards for my region. Well, what did I have to loose? So entered and became a regional finalist in the NE Region Business Leader award. This is a lesson of taking what is on offer – its been a marvellous opportunity to be involved in another part of the chamber offerings. The Speakers Practice raised its profile yet again – focusing your marketing efforts on a tight target market does work as you meet the same people in the various events – its about building a presence and becoming trusted. Sometimes, you have to pinch yourself that you are really here and apart of this amazing event. That was me in August, 2015 – I was invited by Sue Gaulke of SucccessWorksUSA to assist her with the Trade Show table for SpeakersTrainingCamp® promotion at the Toastmasters 2015 Convention. If I have any advice – it is – never miss an opportunity. This opportunity gave me the experience of an event that I never thought I’d see – even as a Distinguished Toastmaster – the highest Toastmasters award – I never thought I’d get this opportunity. Thank you so much to Sue Gaulke – it is an experience beyond imagination. It was wonderful to work with Sue and promote the SpeakersTrainingCamp® and the Instructors program. We got to meet so many incredible attendees of the Toastmasters convention as well as seeing the presentations and competitions. Really one of the main highlights, and there was so many, was to speak about the many benefits of the SpeakersTrainingCamp® program. This program is life changing – it builds confidence, you learn to handle nervousness, learn to halve preparation time and to become far more dynamic as a presenter. Sue Gaulke is an International Expert in Presentation Skills and it was an honour to be working with her promoting her program that has been presented to Fortune 500 companies for over 30 years. Together, we attended the Toastmasters World Champion of Public Speaking 2015 – to see the 10 contestants deliver flawless presentations , one after another, it was an amazing experience being in the audience. Then, being able to meet the 1st, 2nd and 3rd place getters was incredible – here I am with the World Champion 2015 – Mohammed Qahtani. For a Presentation Skills coach, this was an honour and my gratitude is immense to Sue Gaulke for inviting me to attend. Las Vegas is the most incredible city – fun, with all the extremes you could imagine – and I am looking forward to my next visit – but it would be difficult to match this trip! Choosing your target market is important and it needs to be tight so you know where to do your marketing. I chose my local district along with the chamber system and became involved with the local business community. Within a very short time, I was voted in as the President of the Hornsby Chamber of Commerce. The Hornsby Chamber of Commerce was started in 1919 and after many strong years was going through a period of struggle. For someone with a streak of Entrepreneurialism, standing up and getting voted in as President is what is done to help grow a failing chamber. Putting on a talented committee was the first step in growing the chamber. In 7 short months, the chamber has tripled its membership and has the support of local, state and federal government. There are so many opportunities for the Hornsby Chamber to build a strong and vibrant Hornsby Business Community. The committee was voted in the last AGM and we look forward to a fabulous 2016. This is an exciting prospect! It was an immense pleasure to work with these 5 talented and cheeky 13 – 14 year olds. After a long day, they turned up every Tuesday during Term 3 and attended Public Speaking classes. The joy comes from seeing them building their confidence and communication skills – they don’t know how talented and articulate they are – some were shy – some were simply out spoken but they were all keen to participate and learn. For me , seeing these boys really display more confidence, being more fluent in putting their case forward and being quicker to reply to impromptu topics was a thrill. They are all leaders of the future and I have a soft spot for each of these fine young men. Many International students are living and studying in Australia and keen to integrate into the Australian lifestyle. The Speakers Practice has been running training sessions on the topic of Interview Skills – this presentation gives the information necessary to shine when in the interview. Preparation, planning , presentation skills, handling nervousness and much more are discussed. All aimed at helping the graduates to get that first important role. Ultimately, The Speakers Practice Interview Skills program helps individuals get their next job and for international graduates our program helps them to integrate into Australian society. This wasn’t really my achievement – it was Sue Gaulke and SuccessworksUSA – 2nd Instructor training workshop and Presentation Skills training for the SpeakersTrainingCamp® – a very successful 3 day SpeakersTrainingCamp® Instructors program was help. It is a honor to be a SpeakersTrainingCamp® International Instructor – I am the first in Australia and only one of six in the Pacific Asia region. Sue kindly gave me the opportunity to present at the training – on the topic of marketing . 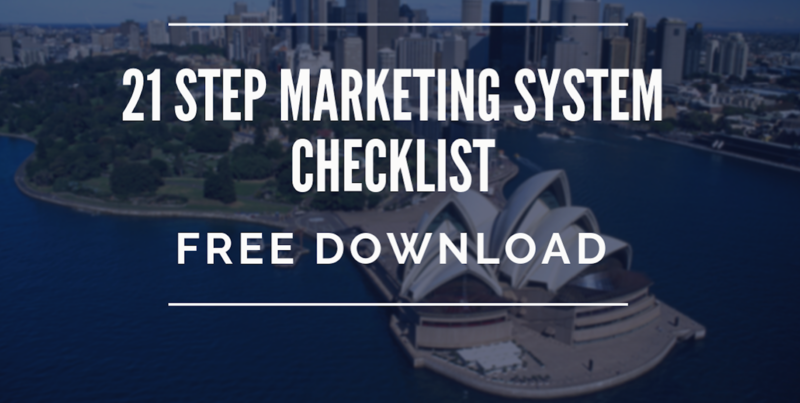 Marketing Plans are essential if you want to know what you need to do to grow your business – this document is the “Go-To” document – when you are wanting to move forward. Rather than just working ad-hoc – this gives you a road map. The Speakers Practice ran a very successful Marketing Plan Masterclass in November, 2015. This program is already booked for running again in 2016. We are also looking at running 90 Day Plan Masterclasses – these are shorter focused , more immediate results. Its planning that’s important, then you know where you are going! Its been a big year – with too many other items to mention – above all The Speakers Practice is focused on helping SME Professionals to promote themselves and build business. Along with promoting the benefits of presentation skills. The Speakers Practice offers international quality programs to help professionals build awareness of their business and grow the numbers of clients so ultimately they are booked solid. We specialise in the area of marketing, communication , presentation skills, presenting to camera skills for video and interview skills. The Speakers Practice is a boutique business that works with professionals to help them to feel comfortable and give them the skills to promote themselves and their business so ultimately they are booked solid. Thank you to all clients for your support. Thank you to my mentors – to Sue Gaulke who has been brilliant in her support and friendship – to Michael Port and the Elite Coaches at the BookYourselfSolid School of Coach Training – you have all been so incredible. Importantly, thank you to my husband and children for supporting me in my endeavours in helping Service Professionals get more clients! Adrienne McLean, The Speakers Practice can be contacted on adrienne@thespeakerspractice.com.au or on mobile 0414 367 960. Next Next post: How does the BookYourselfSolid®Marketing system work?